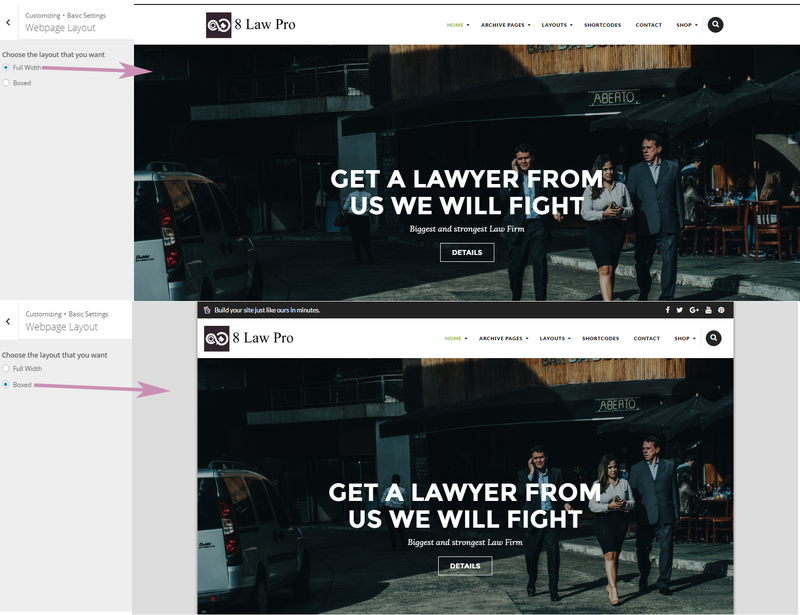 8Law Pro is a clean and beautiful WordPress-Law theme perfect for personal or business website related to Law and order. It comes up with customizer panel which allows you to live preview your changes, configurations, settings and design! 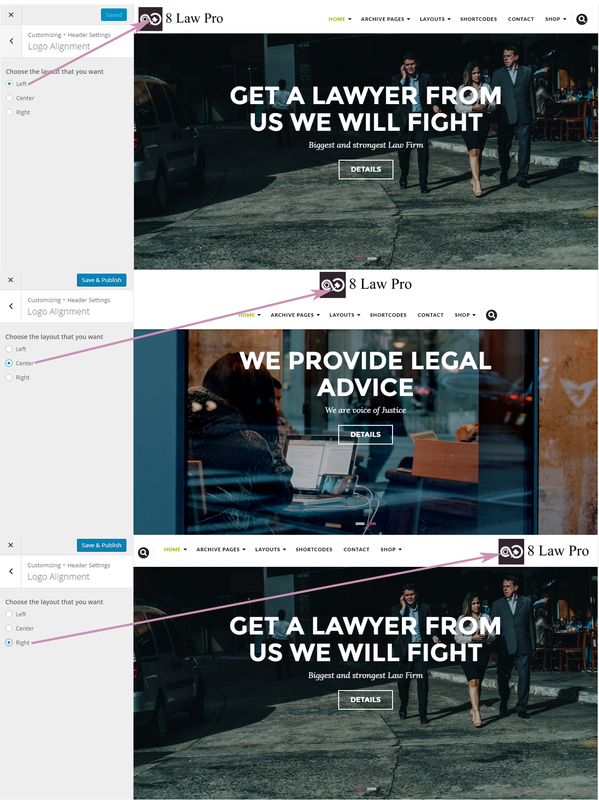 Thank you for downloading 8 Law Pro theme. If you have any questions that are beyond the scope of this help file, please feel free to email at support@8degreethemes.com Thank you so much! 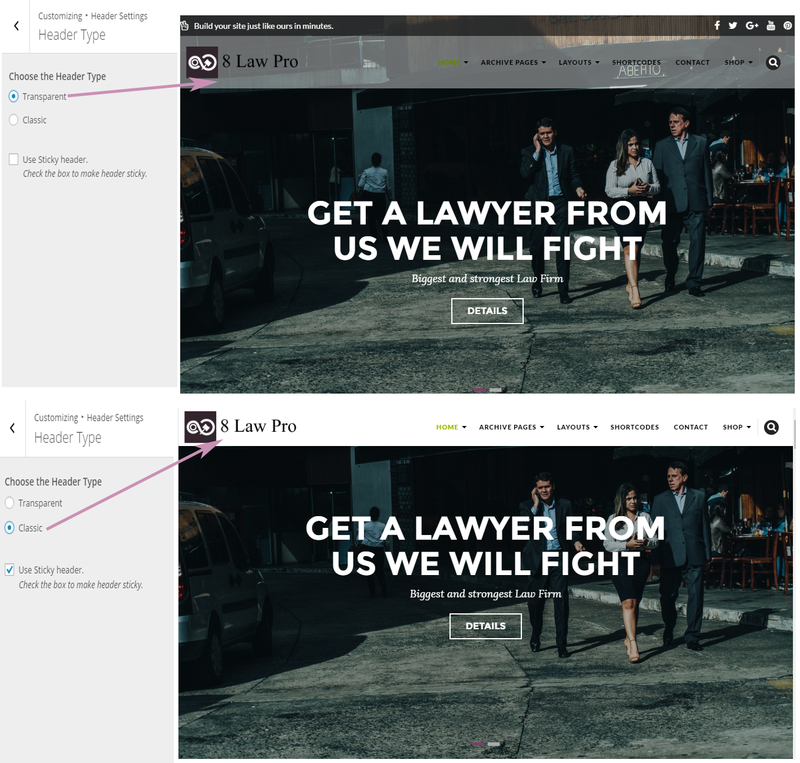 Activate the 8Law Pro and Click on “Customizer” in the Appearance Menu in the Dashboard. 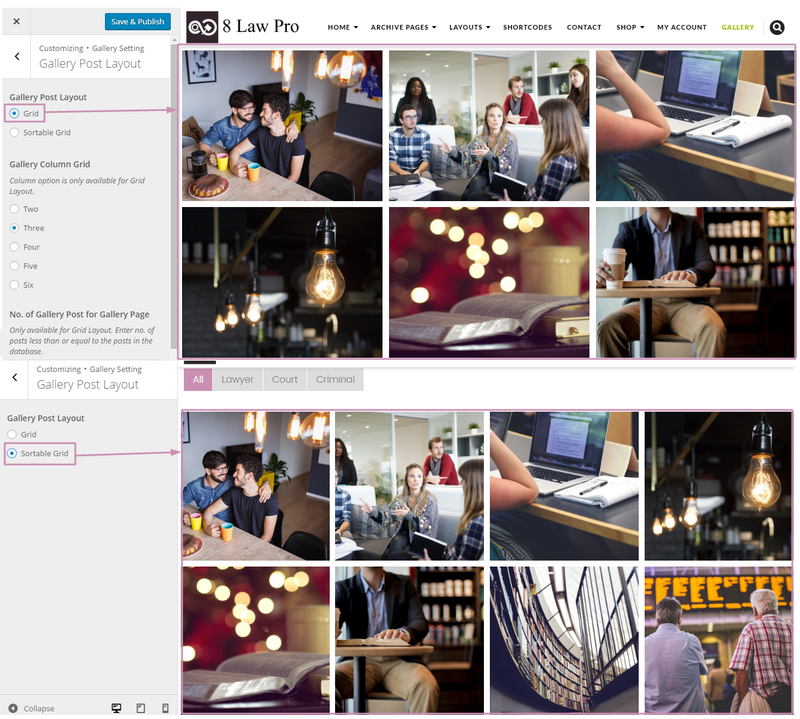 Copy the files inside "eightlaw-pro" folder from the zip file of the latest version of 8Law Pro Theme. Choose the primary Color from here. Choose the Secondary Color from here. Choose the hover Color from here. Choose the Button color from here. Choose the background Color from here. Click on 'Import Demo' button. When Your Demo Data have Import Successfully then you have to get one Popup Message(Demo Data Successfully Imported). Note :- It might take few minutes for importing the demo contents so please have patience. The importing demo will override the existing customized themes options settings which are irreversible so please proceed with caution. Upload an image for the logo. 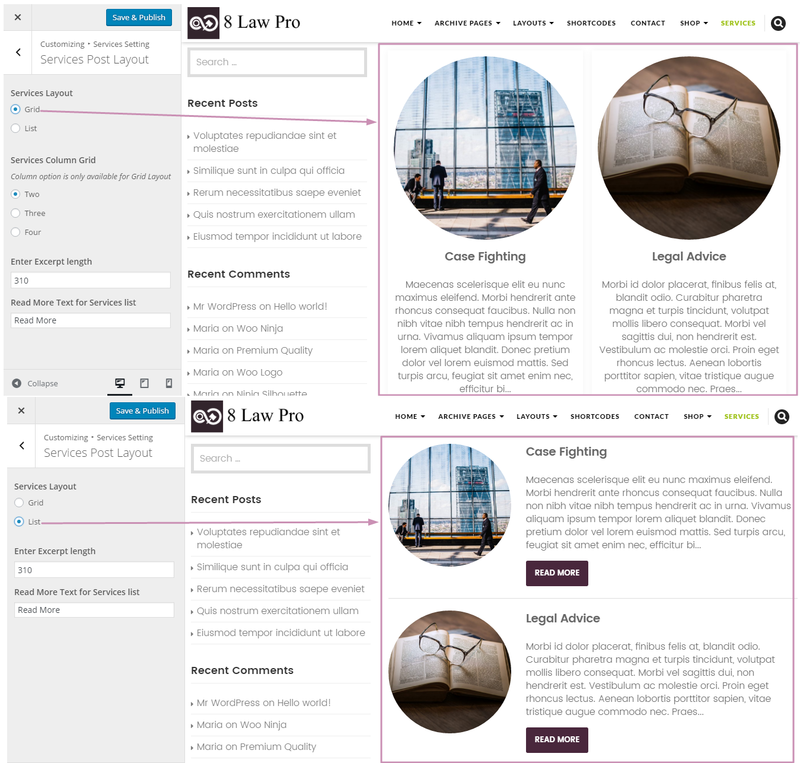 Make your website either box layout or full width from clicking away. Choose one option from the available radio. 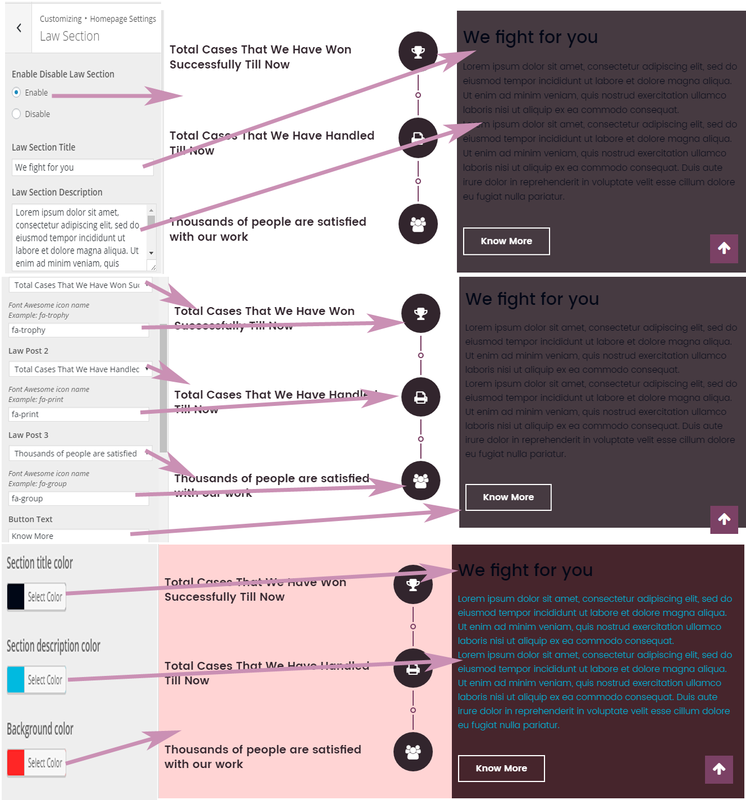 Please choose the background color for your site . Choose the background color for the Preorder section. 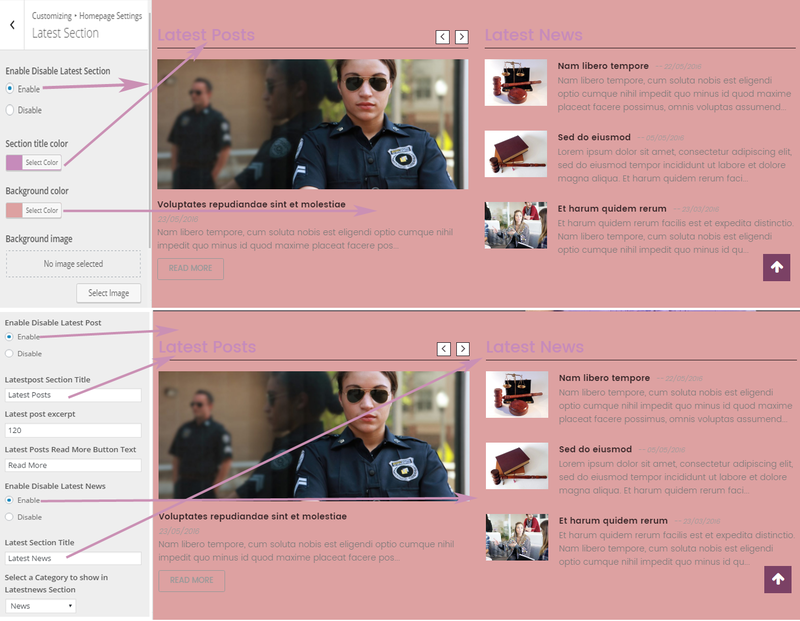 Create your static page and use it as the front page. 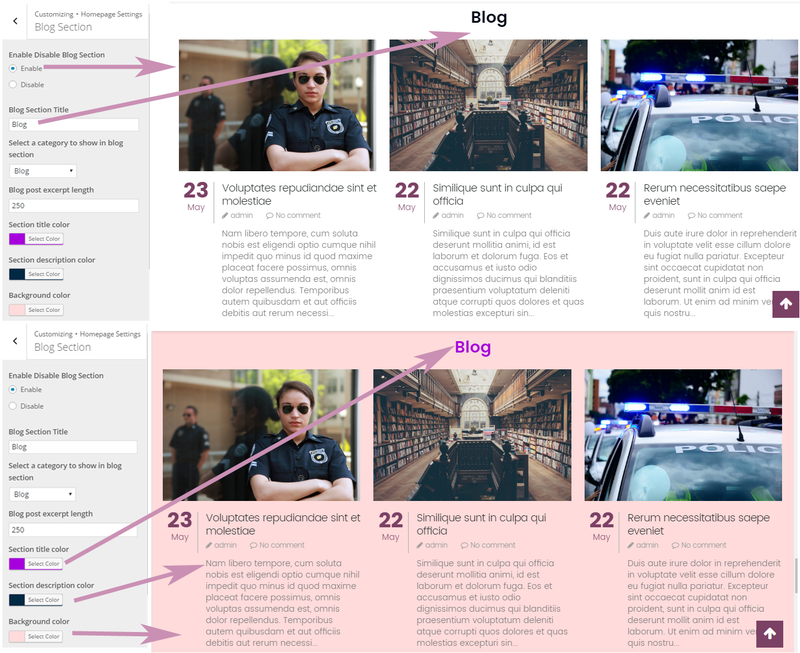 Then add a new page and select its template to Homepage (which is provided with the theme.) 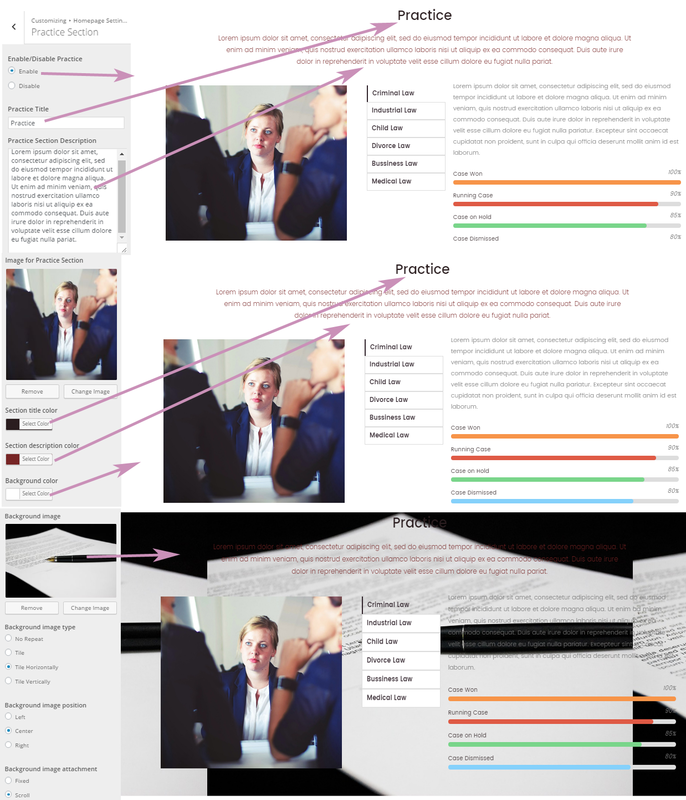 (According to a new guideline of WordPress we can't have frontpage that loads automatically when you install the theme.) and save it. Enable/disable Welcome text on the header. 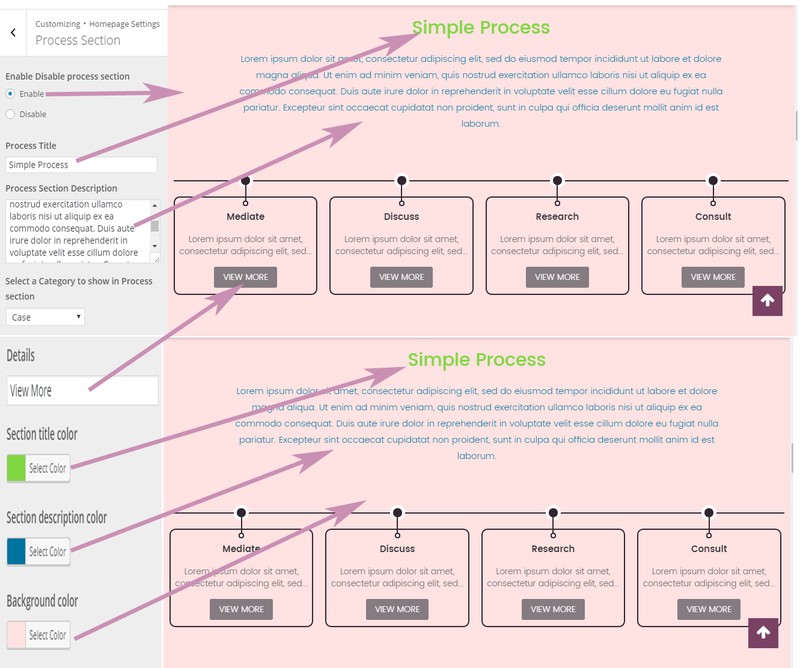 Drag Up and down for Homepage reordering. Select a category to show in slider. Select a category of posts from the dropdown of available categories. Choose color for overlay of slider. Choose Yes to display pager of slider. Choose Yes to display controls of slider. Choose Yes to turn on auto transition of slider. Enter slider speed in ms. Enter slider pause time in ms. Choose Yes to display caption of slider. Enable / Disable this section . Choose Page for About us section Title, Description and Image. Choose Layout that you want for About us section. Enter integer to show excerpt Length. Choose an image for this section. Select the background image for this section . Enter the number of posts to show in Gallery section . Go to Widgets and add woo commerce widgets in Homepage: Wiget Section Two. Go to Widgets and add woo commerce widgets in Homepage: Shop Section. 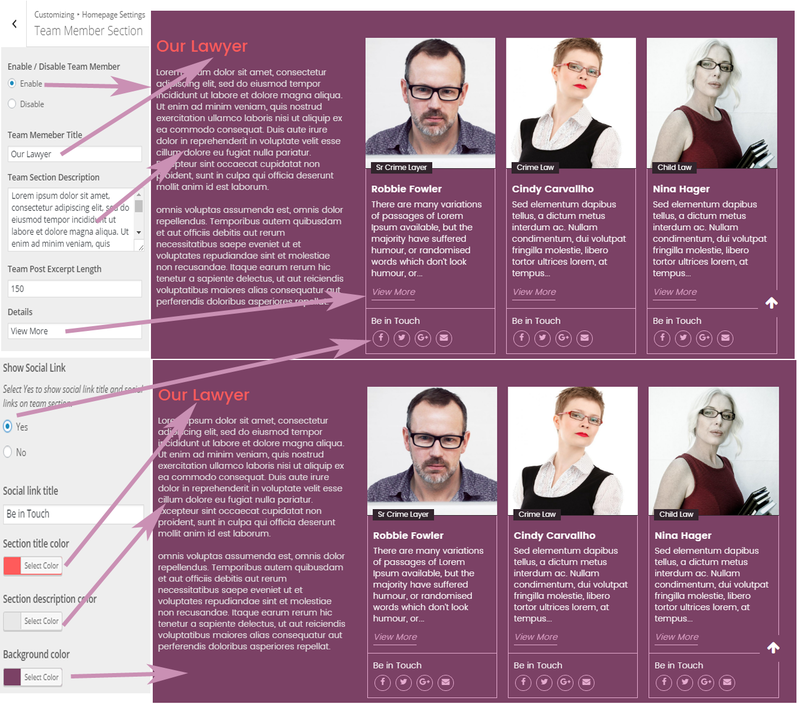 Select the team member us Post Excerpt Length for this Team Member Section . Select Enable to enable slider in Team section. 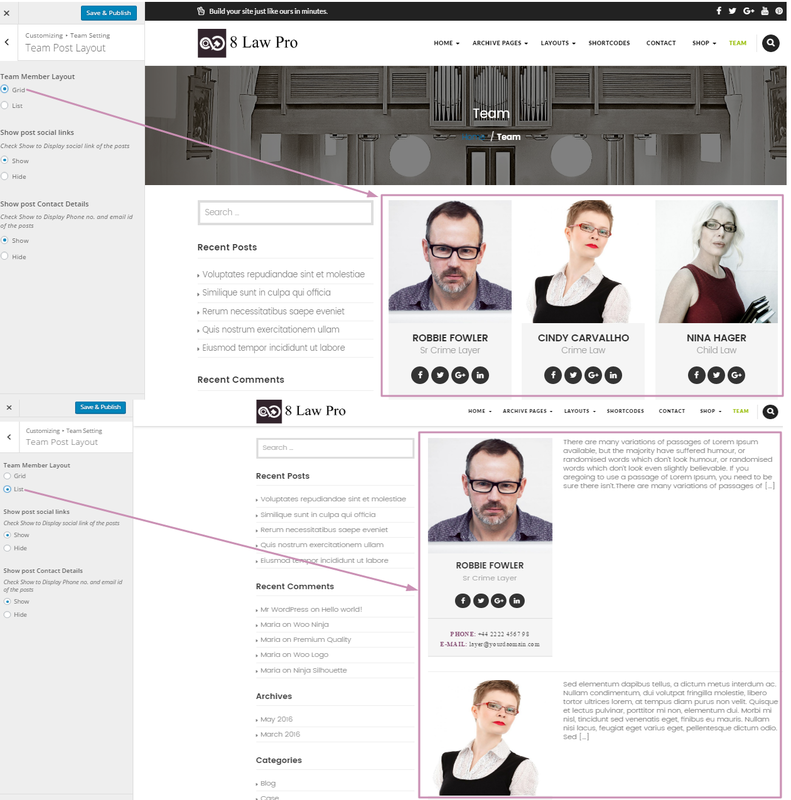 Select layout of Team Member. Select the category of posts from the dropdown of available categories. Select Enable to enable Slider in Blog section. Fill Blog post excerpt length for this section . Choose the Background image Size. Choose Banner title color for this section . Choose the Sigle Post Layout . 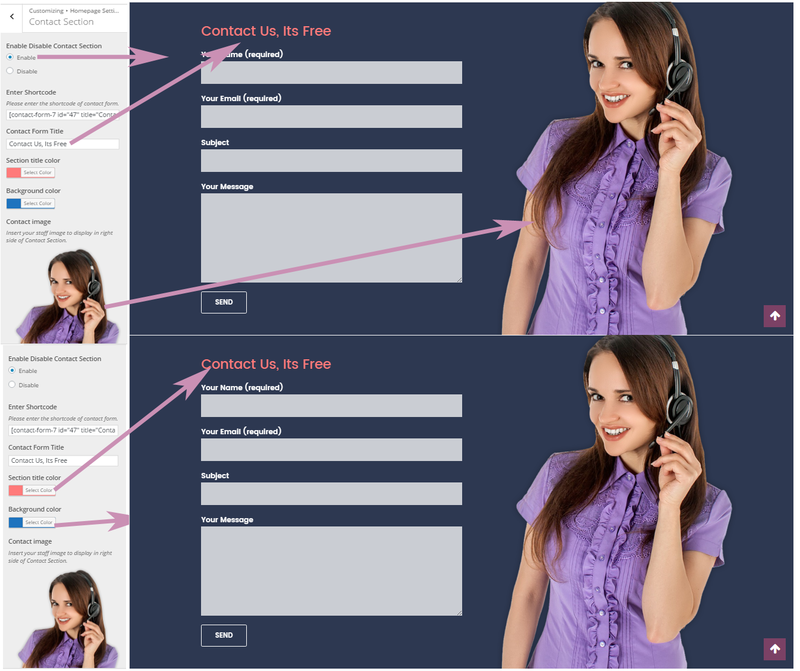 Choose the Sigle Page Layout . Choose fonts for body text. Choose font size for the H1 text.